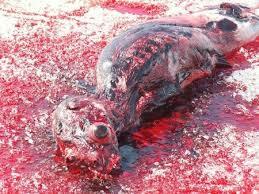 Canada: Does This Nations Government Have A Clue About Animal Welfare ? Maybe the Canadian government in its ignorance thinks that chicken should be frozen BEFORE it arrives at the slaughterhouse !! 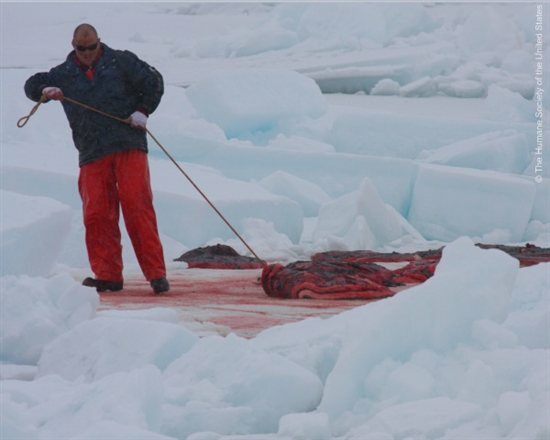 Condemned by animal advocates as the worst in the Western world, Canada’s farmed-animal-transport regulations permit incredible suffering, and this becomes most apparent during times of extreme weather. Decades old, the regulations are the worst in the Western world, lagging behind the European Union, Australia, New Zealand, and even the United States. Is this abuse or what ? – Our post from 2014 ! Right now countless animals are freezing to death on transport trucks. 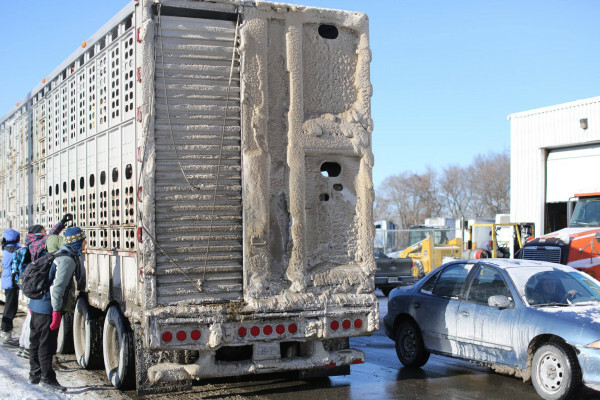 It’s legal in Canada to truck animals to slaughter in open-sided trucks—even in EXTREME cold. “Workers at Canada’s largest slaughterhouse, Maple Lodge Farms, which kills half a million chickens every day, have described chickens arriving to slaughter, frozen solid like “hockey pucks” and “popsicles”.